What do Quarterbacks & Molly Ringwald Have to do with Your Love Life? 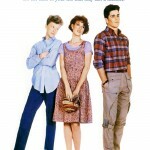 Home » John Hughes » What do Quarterbacks & Molly Ringwald Have to do with Your Love Life? There’s an old question that goes something like this: does art imitate life or does life imitate art? In other words, did John Hughes notice that women often sat in the bleachers pining for the high school quarterback, and so he wrote his film Sixteen Candles, or did it work the other way? Is it that Hughes wrote Sixteen Candles and so since 1984, every woman who has ever seen the movie has had it planted in her subconscious that it’s the quarterback (as opposed to the right guard, the first trumpet in the band, or the guy who works on his car after school) who will be the one to save the day by remembering a birthday and delivering a last-second cake? For those of you who were quarterbacks or dated quarterbacks, can you speak to the likelihood that they are of the sort to come through with the thoughtful and surprise gift more than others? Like most questions, the answer to this one seems like it could go either way. It’s a question that I got so interested in that I wrote a novel to explore its answer. 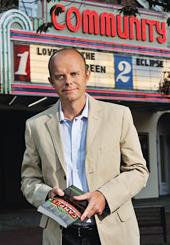 The book is called Love on the Big Screen, and it tells the story of a college student whose understanding of love has been shaped by late-eighties romantic comedies. As for my own life, as a man, I wouldn’t point to the quarterback story of Jake Ryan and Samantha Baker. I point to Cusack’s Lloyd Dobler and Ione Skye’s Diane—whoa!—Court, characters from Cameron Crowe’s 1989 film Say Anything. 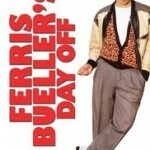 Dobler sees Court in the mall and what follows is his knightly pursuit of Diane’s love. Eventually, the boy woos the girl over, and the situations I saw in the film are situations that I tried to replicate in my life at least two or three times. These pursuits took up most of my high school and college years. Anyone else had that experience? 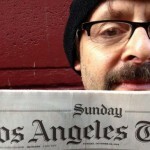 Using my own life as a sort of test-tube experiment, I could conclude that in my case, life imitated art. However, to argue with myself (I do that a lot) I remember that even as a sixth grade student in middle school (just as I was just becoming aware of the 80s romantic comedies that would for at least two decades shape my perception of love) I was the sort of boy who could see a girl and believe I loved her. The latter is the answer I believe in. Art imitates life, and then art gives us a big shove in the direction of the life it originally was born from. 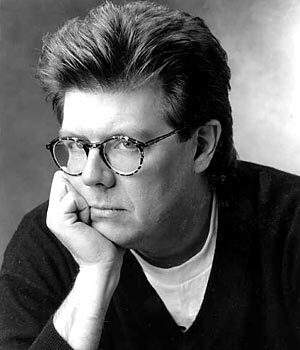 I believe John Hughes either walked the hallways of his high school or sat in the bleachers and watched many of the young ladies of his school fall for the high school quarterback. 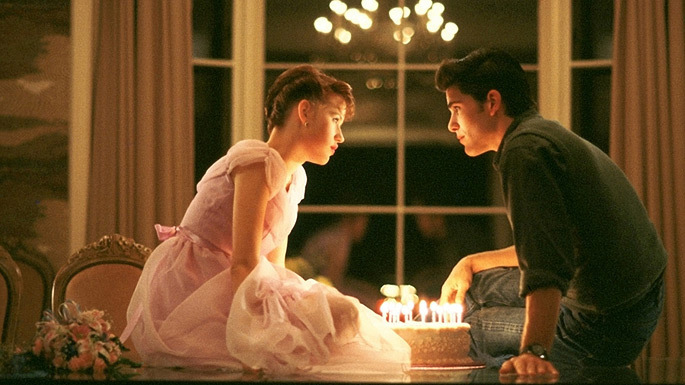 Sixteen Candles came after that. Why Hughes made that quarterback such a nice guy (some of them definitely are) I’ll never know. 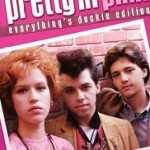 Does Pretty In Pink Hold Up After 30 Years?